Top recorded speed so far is 453 mph! Now we are getting serious!! This model is for the DSer that wants speed .The Dynamic 80″ has the same custom airfoil, designed by Joe Wurts, used by the monster D160. This new type of airfoil is designed around a 400mph speed range. The D80 is well on its way! The D80 feels like it has been hewn out of granite – the contruction is THAT strong. Everything on this model has been thought through for massive 400mph+ DS performance. The D80 is the fastest 80 inch model in the world today at 453 mph, and it looks so comfortable at those speeds. This is a plane can easily cruise to speeds over 300mph. In the past to get planes up to 300mph, 350mph and faster the pilot had to have huge conditions, ninja thumbs and nerves of steel. This plane comes alive after 250mph! Dynamic Soaring Pilots will tell you that this plane, “locks in” at higher speeds. 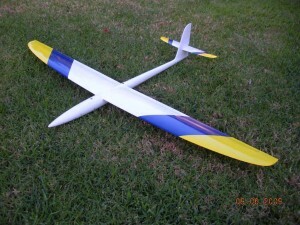 Despite extreme Dynamic Soaring performance this plane will fly in light conditions of under 20mph, a truly versatile model. If you’re serious about going fast, this is THE model to do it with.